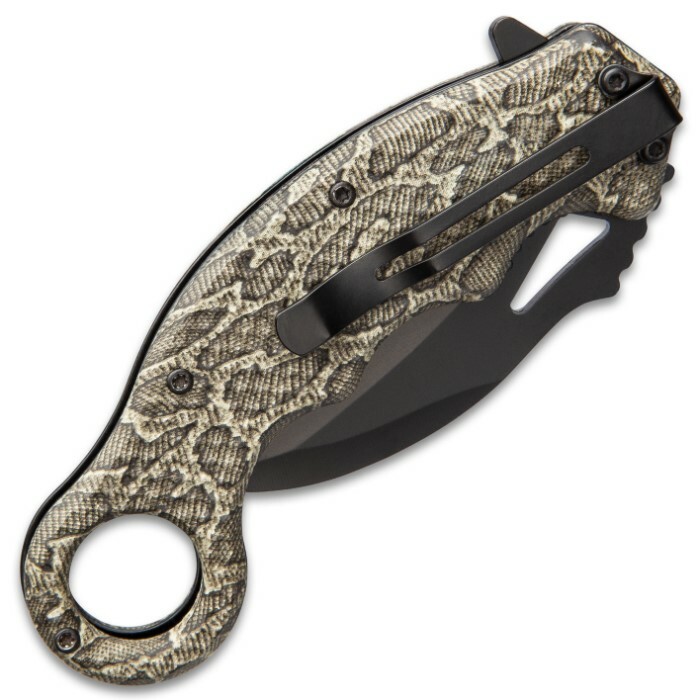 Reptile Master Folding Karambit Knife - Stainless Steel Blade, Non-Reflective, TPU Handle Scales, Metal Pocket Clip | BUDK.com - Knives & Swords At The Lowest Prices! 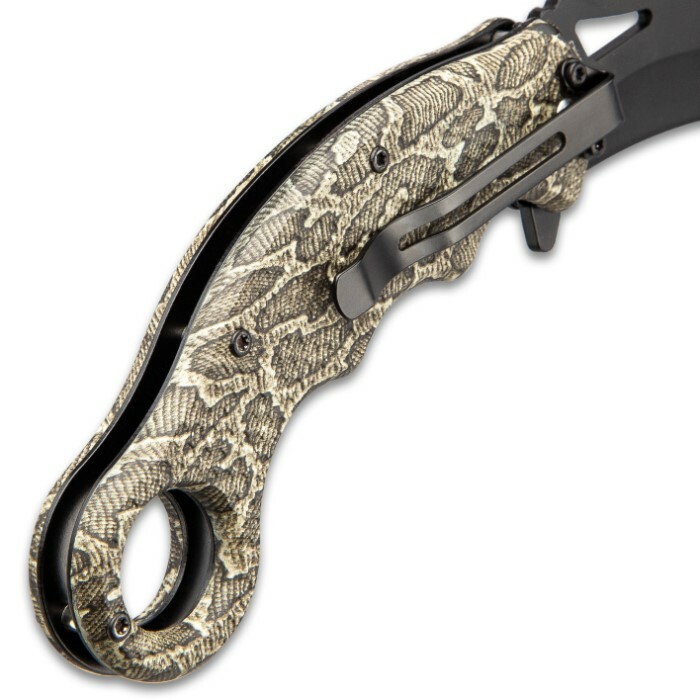 Our Reptile Master Folding Karambit Knife is ready to take on and slash its way through the jungle, swamp, river bank or your own backyard! 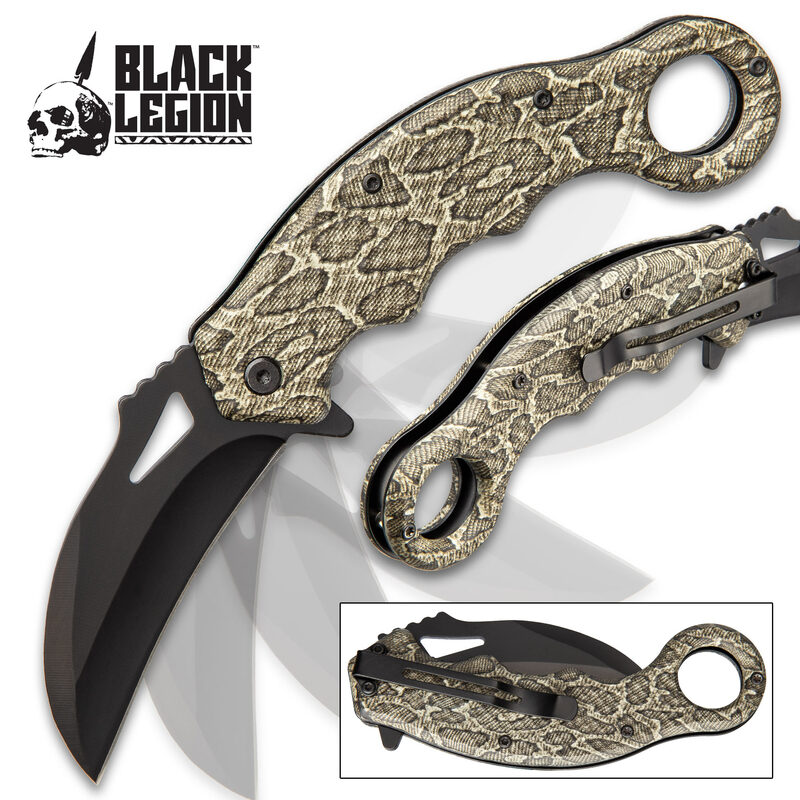 It has a 3 1/2” sharp stainless steel curved blade with a black, non-reflective finish, which can be deployed with a flipper. 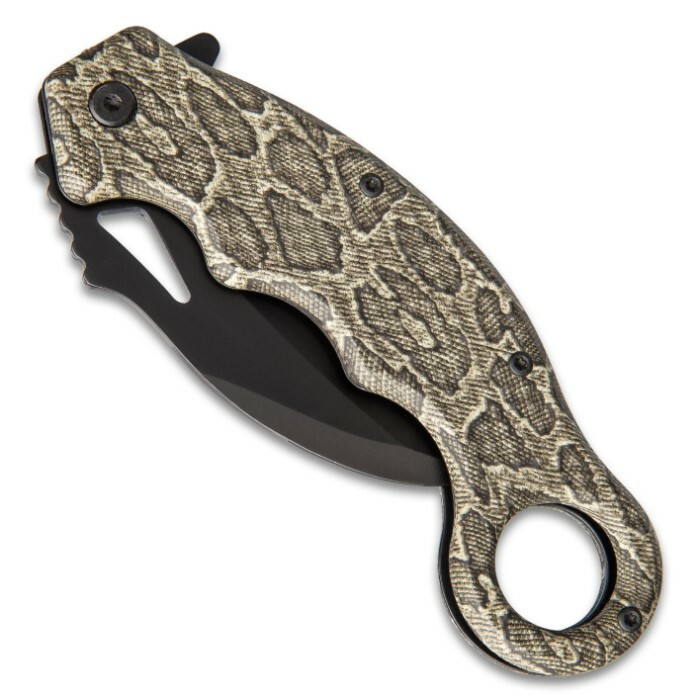 The tough TPU handle scales have a tactical honeycomb texture and a reptilian pattern in shades of grey and khaki. 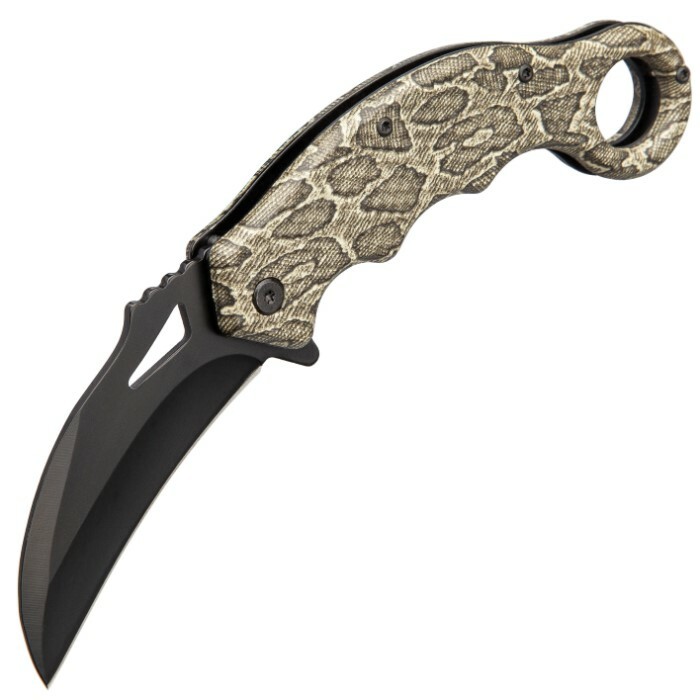 The assisted opening karambit is 5 1/4”, when closed, and it has a sturdy, black metal pocket clip for ease of carry. This is a survival knife you want at your side!